The 37013 is located in Antioch, TN is is just 20 minutes southeast of downtown Nashville. Homebuyers looking for more affordable options might want to keep this area in mind, as home prices tend to be slightly lower here than other areas around Nashville. Price and an easy commute make this zip code appealing for many families. Looking for a different area in Nashville? 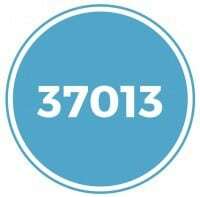 View all zip codes here or use our map search to find the right place to call home.